With Cellino’s threat to boycott this match if it is not played at home, it’s difficult to write a preview for a game that could potentially not be played. Yet I feel for Cagliari, they absolutely deserve to play this one at home. Their plight over the past year or more has been downplayed by the league officials. Not surprising, then, that it is the league officials who are determining where their matches will be played. So I have two wishes for this magical match. One, that the match is actually played. And two, that Cagliari somehow magically get to play it at home. When it comes to a football team that is based on an island, there is no place like home. Just to put this out there…. Allegri was the coach of Cagliari. Now Cagliari have all of these stadium problems. Allegri is now the coach of Milan. And we’ve had 22 players leave our club in 6 months. Coincidence? I think not. Maybe he should coach Inter next, and use his destructive powers for good. Heaven knows our September match up in our house was a 2-0 victory thanks to Allegri being banned and Tassotti taking the reins. All jokes aside, Cagliari are coming off of a 4-2 trouncing of Roma in Rome. That loss sealed Zeman’s fate, but must have also really given Cagliari a nice psychological boost midseason. However, they will have to do without Nainggolan and Danilo Avelar due to suspension for this one, if it is played. Lorenzo Ariaudo could make a comeback after being out injured for a month now, but other than that, Pulga should have the rest of his squad available. Only one of Cagliari's Twitter warriors will be available for Sunday. Against Roma, he fielded Agazzi; Conti, Avelar, Pisano, Rossettini; Nainggolan, Astori, Ekdal; T. Ribiero, Ibarbo, and Sau. He will obviously have to replace Nainggolan and Avelar, but that is probably a lot less worrisome at this point than whether or not the game will even be played, and where it will be played. Incidentally, Cellino must have been due for another outburst at the league. He insisted that the Cagliari-Roma match be played at Is Arenas in September. That game was never played, and Roma were awarded a 3-0 win for Cellino’s attempt to stand up to the league. So we will see if he has learned his lesson. As for Milan, after a week of world-ending parking tickets, the club misspelling his name on their official website, and being called a little servant boy by the club vice president, I am going to take a wild guess that all Balotelli wants to do is get on the pitch and play. Despite a couple of cuts sustained to his leg in the Italy match midweek, he should be mended enough already to warrant a start. And with Pazzini out injured, he should get his wish, if the game is in fact played. Milan's Triple Threat will be a handful no matter where they play. Allegri will also be missing Montolivo to suspension for accumulated yellow cards and Bonera for a heavily bruised thigh. Salamon is also recovering from his preexisting ankle condition and will not be available. Beyond that, I would expect to see Abbiati in goal and Abate on the right, who had a great game for Italy midweek. Also because De Sciglio seems to have stumbled into Allegri’s Vault somehow. My ideal center pairing would be Mexes and Yepes, which means it will most likely be Zaccardo and Zapata to start. At least Allegri and I agree on Constant on the left. Not that I agree with this, but the midfield will likely be Flamini, Ambrosini, and Boateng. 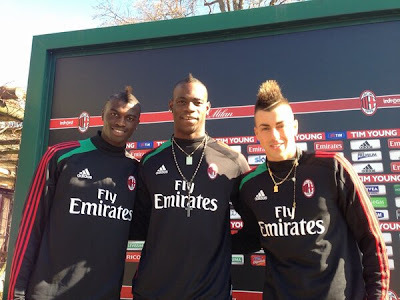 Finally, our Triple Threat™ of Niang, Balotelli, and El Shaarawy should line up in attack. El Shaarawy broke the Curse of the San Siro with a brace, will he be lucky again? I hope that something can be arranged for the clubs to play at Is Arenas, even if the match is behind closed doors. In fact, it’s not just Cellino going public about this. Nainggolan and Astori went to Twitter yesterday to speak out about the injustice of being displaced yet again. Good for them. Sometimes it takes getting the fans involved to make an impact. And I swear it is not my having to wake up at 5am for this match that makes me want this game to be played. It is not sporting to take three points without playing the game, even if neither team is to blame for this horrible situation. I want to see this match played, and I want to see it played in Cagliari, if possible. Because when it comes to having the support of your fans, there’s no place like home. Note: Just hours after I wrote this, Cagliari's appeal to play at Is Arenas was granted. You're welcome, Cagliari. Milan vs. Parma: Game On! Podcast: Happy Birthday, Milan Obsession! Cagliari vs. Milan: Game On! 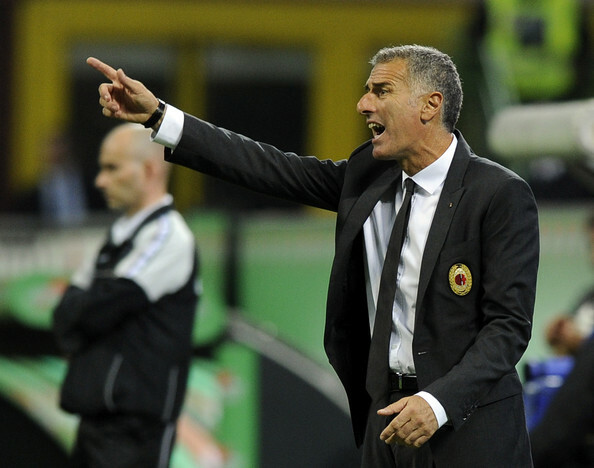 Milan vs. Udinese: Game On!